Buying Isopropyl Alcohol in AustraliaThis product is often called isopropanol in other countries. 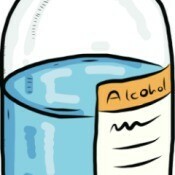 This is a guide about buying isopropyl alcohol in Australia. Making a Child's Travel BuddyKeep a young child happy and entertained during long road trips with one of these cute little bags. 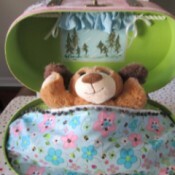 This is a guide about making a child's travel buddy. Instruction Manual for Nelco Sewing MachineThese vintage sewing machines were manufactured in Japan and are still popular today with collectors. 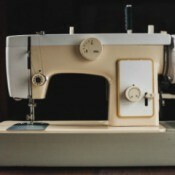 This guide contains information for finding an instruction manual for a Nelco sewing machine. Wooden Sign Painting Business NamesFinding the perfect name for your business that is easy to remember and explains your services, can be a challenge. This is a guide about choosing wooden sign painting business names. Making a Hot Glue Spiderweb NecklaceA creative necklace for a Halloween costume or a special outfit, can be fashioned with hot glue and a few supplies. This is a guide about making a hot glue spiderweb necklace. Tropical Orchid CareDifferent kinds of orchids require different conditions to grow well. These exotic beauties derive their moisture and nutrients from tree life in the tropics. 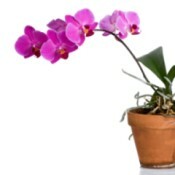 This guide is about tropical orchid care. Value of Fairytale Collection Porcelain DollsThese pretty porcelain dolls were dressed as famous characters from fairy tales. 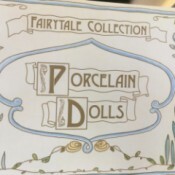 This is a guide about the value of Fairytale Collection porcelain dolls. 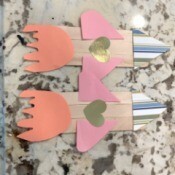 Making Rocketship Valentine's Day GiftsWhen its not appropriate to share sweets for a Valentine party, you and your youngster can create these fun holiday greetings. This is a guide about making rocketship Valentine's day gifts. How to Create a Honeycomb Hexagon Personalized ShelfMake several of these hexagon shelves and hang them in a honeycomb pattern in an office or hallway. 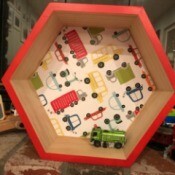 This is a guide about how to create a honeycomb hexagon personalized shelf. Finding the Value of Appleton EncyclopediasWhen an encyclopedia is in good condition and over 100 years old, it should have some value. 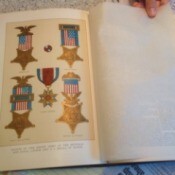 A book dealer could help determine its worth. This is a guide about finding the value of Appleton encyclopedias. 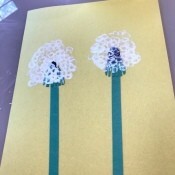 Making a Dandelion CardMake this pretty card with your children to give to mom or grandma for Mother's Day. This is a guide about making a dandelion card. Finding the Value of a Philco Tabletop Record PlayerVintage tabletop or cabinet record players can be sought after for vinyl enthusiasts. 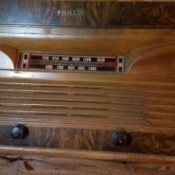 This is a guide about finding the value of a Philco tabletop record player. 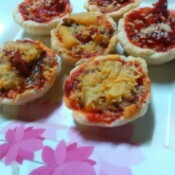 Making Sardine Pizza CupsThese pizza cups can be made with all sorts of different savory ingredients.This is a guide about making sardine pizza cups. Repairing a Sun Damaged Vintage Formica TabletopYou may want to let the sun finish the bleaching or paint the surface of the table. You can always cover with a vintage table cloth. 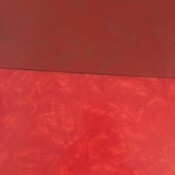 This is a guide about repairing a sun damaged vintage formica tabletop. Pressure Cooker Spaghetti and Meatballs RecipeMake this classic meal in your Instant Pot for an easy weeknight supper. This guide contains a recipe for pressure cooker spaghetti and meatballs. 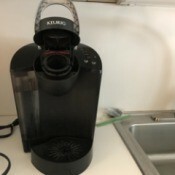 How to Clean Your Keurig Coffee MakerProper cleaning of your coffee machine will help you keep your maker in good working order. This is a guide about how to clean your Keurig coffee maker. How to Make a Sea Fever Recycled Bottle VaseShells beautifully decorate this recycled bottle vase. 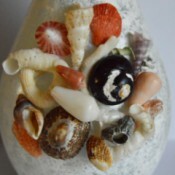 This page contains instructions on how to make a sea fever recycled bottle vase. 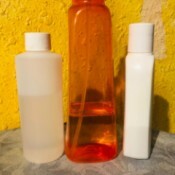 3-Step Moisture Locking Hair TreatmentUsing water, oil, and cream, you can moisturize your hair even using some of the least expensive products in your house. This is a guide about 3-step moisture locking hair treatment. 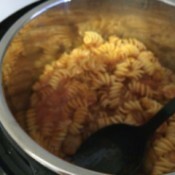 Noodle Rice (Reshteh Polo)My family and I just celebrated the Persian new year. 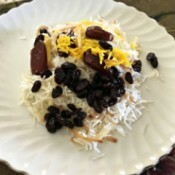 My late grandmother used to make this rice dish on new year's eve annually. Even though it has so few ingredients, it's got a great texture and full of lovely sweet and savoury flavours. It's best to use soba noodles (buckwheat noodles) or any flour-based noodle that does not contain oil. You can buy toasted reshteh noodles in Asian stores or online, but doing it this way here is way cheaper and just as delicious! 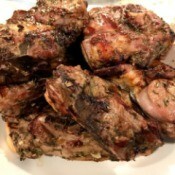 Grilled Lamb Shoulder SteaksA simple and flavorful marinate for these delicious lamb shoulder steaks. A great recipe to grill for spring and summer BBQ parties or any special occasion. 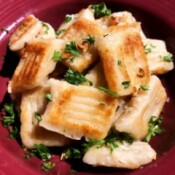 Cauliflower GnocchiThis guilt-free cauliflower gnocchi only takes 2 ingredients: cauliflower and flour. This is an excellent way to cut calories by not using starchy potatoes and eggs. You can use gluten-free flour to turn these beauties into a GF version that tastes absolutely scrumptious, too. These puffy little pillows are such a delight no matter how you top them. I've added a bonus step to turn them into garlic butter gnocchi. Highly recommended!